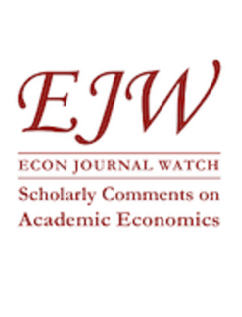 This paper provides a review, critical evaluation, and extension of an article in the January 2016 issue of EJW by Mitchell Langbert on “The Left Orientation of Industrial Relations.” Langbert’s thesis, supported by empirical evidence developed from several data sources, is that academics in the industrial relations (IR) field have a marked left ideological orientation which leads in research and teaching to erroneous, uncritical support for labor unions and labor market regulations. In this paper I take a second look at left ideology in industrial relations and the theory and empirical evidence presented by Langbert. A number of problem areas are identified, such as omitting right ideology, overstating IR’s left orientation relative to public opinion, using empirical measures of IR ideology that yield systematic left bias, and omitting right-side financial contributions. I also suggest an alternative model that reframes and extends Langbert’s analysis, partly to identify or better conceptually develop points of critique and partly as a contribution to advancing the larger literature on academic left ideology. I conclude that Langbert captures an important truth element about left ideology in industrial relations but overemphasizes the extent and harm of ideology from the left and mostly ignores the growing influence of right-oriented ideology in academe. Bruce Kaufman’s response to my piece “The Left Orientation of Industrial Relations” is kindly and colorful, but it riffs quite wide of my purpose. Contrary to the impression Kaufman gives, I was not trying to explain the causes of defective thinking in the field of industrial relations; I was not positing a “Truth Gap,” as he calls it, much less trying to explain its sources. I candidly expressed my view that politically left thinking is defective, and then documented its great preponderance in the field. Contrary to Kaufman, I see that social science always includes judgments about what is important and about formulations and understandings; such judgments naturally mix with ideology but they cannot be separated from science, especially the social sciences.